Needless to say, I follow most of my favorite catalogs on social media. Especially on Instagram. (Now for a bit of shameless self-promotion: Do you follow me on Instagram? If not, you can find me here!) And this last week, PB Teen shared photos of the big launch party for their new collaboration with Emily & Meritt. Once I saw a few of the photos, my curiosity was piqued, and I had to head straight over to their website to check out the collection. I. Am. In. Love. I mentioned in my last Frugal Friday post that I am having a love affair with gold lately. And I'll tell you that this bedroom stopped me in my tracks. I ADORE that bedding. And I am a bit infatuated with the unicorn head as well. And even though the look is intended for teens, I love the fact that it has a bit of sophistication to it as well. Look at that cute alarm clock with bunny ears! 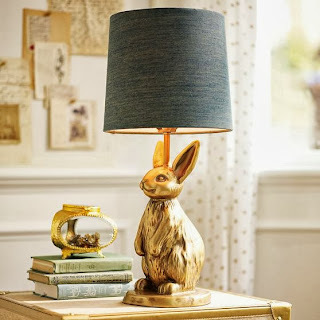 The thing I love about this is that it looks eclectic and fun rather than matchy-matchy and it has tons of whimsy, which is one of my favorite things in decorating! Isn't that clothes rack fun?? I bet you could make one easily with some plumbing pipes. And I love this fresh take on silhouette art. Of course, I love me some bunny rabbits...and this little lamp is adorable! I just had to share this new line because I think it is so fun...and filled with gold! And just so you know, this post was NOT paid...just impossible for me not to write. Lol! 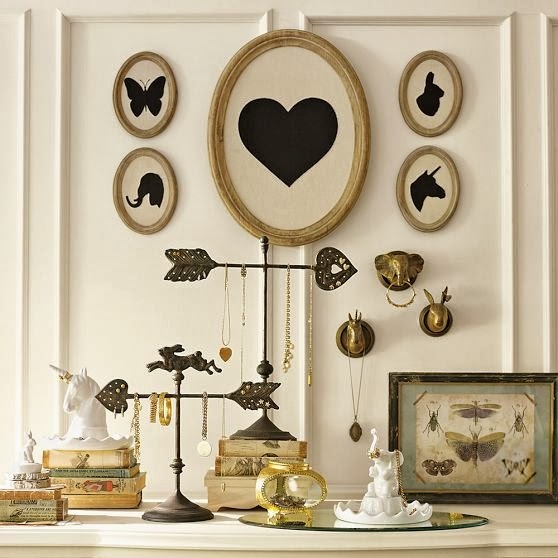 And I've got a bit more gold décor coming your way on the blog in the next day or so. So stay tuned! I love this!!!! I would totally do my room like this. 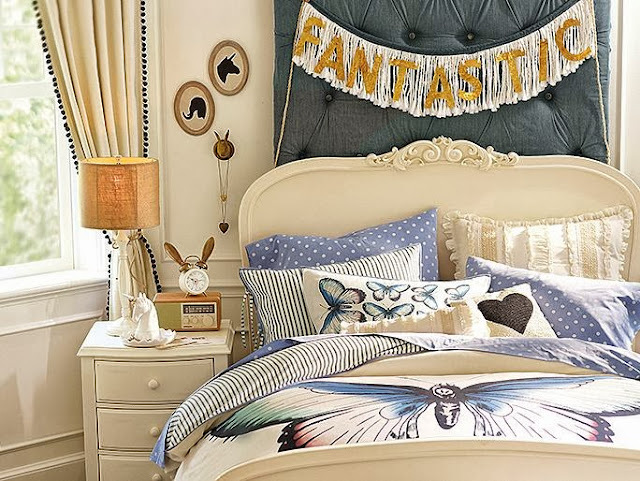 I love this room and all the touches of whimsy and am in love with this bedding!